When thinking brings pleasure. When thinking brings pleasure? : Was Mr. Jeff Bezos a visionary, is he still is, and will he remain to be such? Was Mr. Jeff Bezos a visionary, is he still is, and will he remain to be such? Albert Einstein was without a doubt a genius, one of the smartest humans of all time. But no one would ask Albert Einstein for a business advice. Flip the side, and everyone thinks that a successful businessman is a genius. The hypnosis of MONEY! What does it mean to be smart? Who is smarter: Einstein or Bezos? Newton or Zuckerberg, Musk, Gates? If you answer honestly, the next step is to accept that one does not have to be a genius in order to create and run a successful business. If you played the game of chess, you would know that the winner is the one who makes less mistakes. Same in business. Everyone starts something, but those who make less mistakes get eventually noticed. 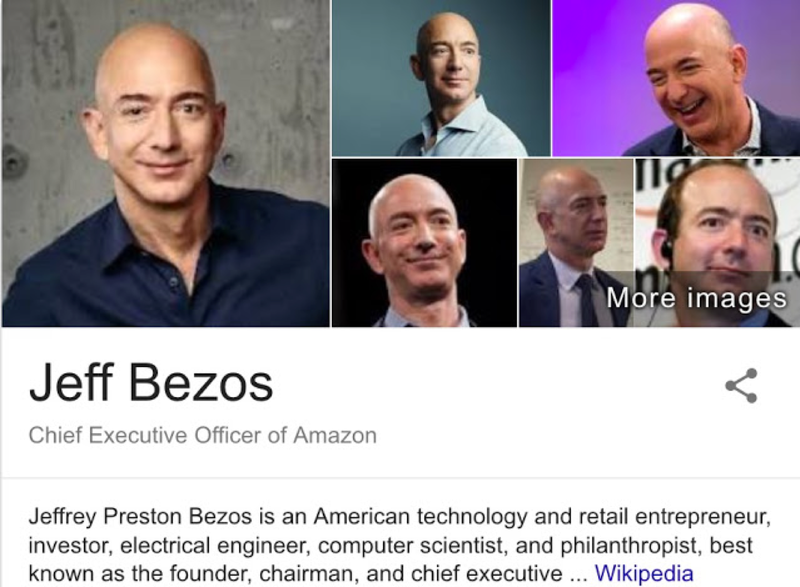 In the case of Mr. Bezos (and many other well-known white businessmen): good family, good education, Wall-Street experience, and - of course - boldness, taking a risk (for starters, just to start a start-up), and being persuasive (#1 and 2 and 3 professional quality of a businessman). Multiply by a good luck. Subtract missteps (“Fire phone”). 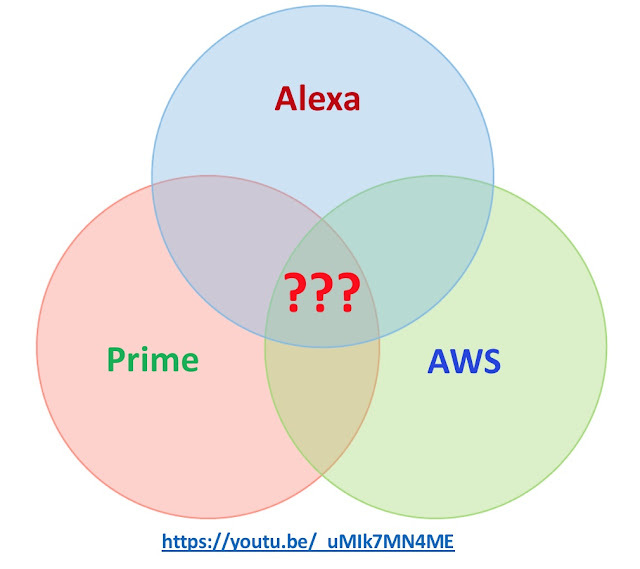 Add learning from mistakes (Alexa). And having good genetics - which provided with a good brain - the physiological basis of thinking and effective learning. Then I also dug up some old drafts and added to the post make it longer. I don’t know about you, but since the Whole Foods accusation by the Amazon my satisfaction with my shopping experience dropped by about 20 %. For example (just one of many), I have two Whole Foods nearby, and for two days in a row neither had such an simple product as organic rolled oatmeal flakes. The topinambur (a.k.a. sunchoke, item #4791) is a product which is very important for me, but it is absent more often then present, and when it is present it is more often soft than hard (which makes it useless). Is Mr. Jeff Bezos losing his Midas touch? Or was he not so visionary in the first place? Don’t get me wrong, I have a deep respect to Mr. Bezos; he just simply represents a very good “target” for any business-related discussion. And if he was growing one step at the time, does it mean he was not a visionary, or it means that his vision has also been evolving together with him, or maybe it means something else? When he issued IPO and became a billionaire, how much of that is due to his own talent, how much of that is due to his own efforts, and how much of that due to other factors, like good timing, good luck, good genes, good family, good schools, greed? The latter – greed – is related to the actions of other people - those people who have decided (or helped to decide) how many stocks to print, what price to set, and who and how much would also profit from the mere fact of a stock offering. There is no way to measure the exact percentage of the role of each factor in the final worth of a person. Maybe, there is no even need for doing that. I disagree with the last statement, but I know that I am in the minority on this (but not alone! http://www.cognisity.how/2018/04/bincome.html). So, was Mr. Jeff Bezos a visionary, is he still is, and will he remain to be such? With the available amount of the information, there is no way to answer this question (or everyone can choose any answer one likes). The results of his actions also depend on the people closely working with him. But, on the other hand, this also depends on how he selects those people – the quality which also changes in time. - What is “a vision”? - What does it mean to be “a visionary”? - What are the signs, manifestations of a “visionary person”? - Is being “a visionary” always good; and for whom? - Is being “a visionary” comes from the nature (genetic material), or the nurture (training, teaching); and in which proportions (here we have a transition into the discussion about education)? - Does everybody need to be “a visionary”? How many visionary persons (per 1000 people) is the best for a society? And more, and more important questions, but that discussion requires a different time and place. 1. I buy a new book, and (obviously) read it. 4. Amazon gets it, pays me. Since the first publication of this post I wrote a couple of more pieces on the character of business people. The latest one "Is The Cat Wroth Be Saved? or A Curios Case of a Risky Entrepreneur". In part I touched how much luck plays the role in the success of a person. The best luck one can get is growing up in a nice family and attending a nice school. The next depends greatly on meeting the right people. I like to say "you can be the strongest magnet, but if you are surrounded by wood, you cannot attract much of attention".